The Full Moon is an excellent time to cleanse and release patterns and energies that no longer serve us. The Earth’s vibration is high which makes it an excellent time for Meditation and Healing. 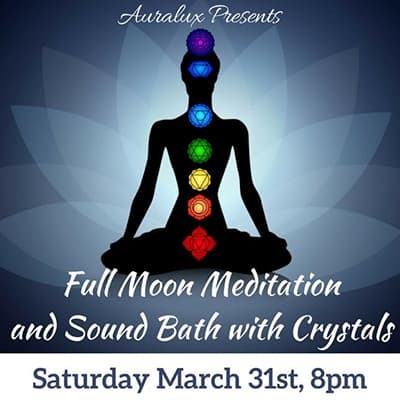 Julianna Davis aka Jules is a Holy Fire II Usui and Karuna Reiki® Master, Crystal and Sound Healer, Spiritual Teacher, Psychic Medium and owner of Auralux in Los Angeles. Her work has been featured on Buzzfeed, E!’s “The Platinum Life”, SuperDeluxe, Voyage LA, LATV and more.